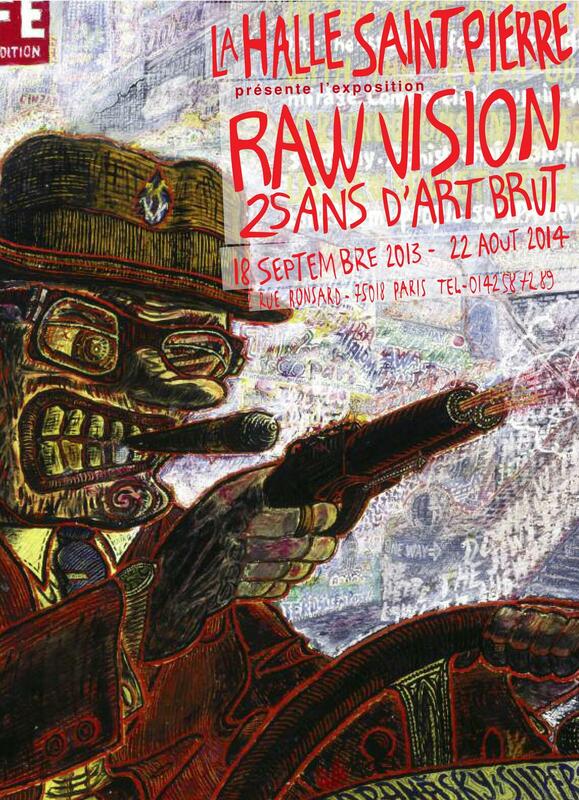 From September 18, 2013 until August 22, 2014, Halle Saint Pierre in Paris celebrates 25 years of Raw Vision. With classical works of Art Brut, new discoveries, photos of extraordinary visionary environments and over 80 artists including Nek Chand, Joe Coleman, Sam Doyle, Howard Finster, Adolf Wölfli, Alex Grey, Tom Duncan, Michel Nedjar, Norbert Kox and many others. 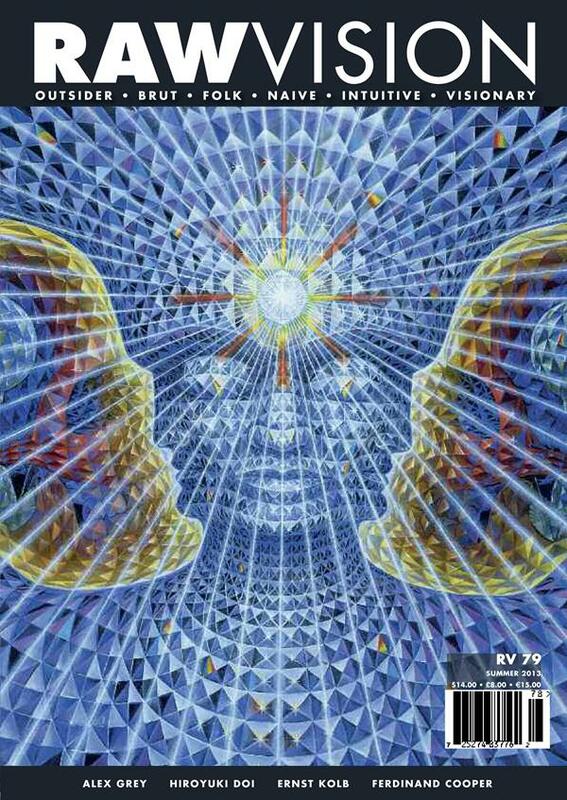 Visionary artist Alex Grey's life, art and ethos, with an extract from his new book Net of Being. The work of a new discovery, Ernst Kolb, a German baker who taught himself to draw. Ferdinand Cooper's unusable imitations of objects made from wood and tin. Patrick Joyce's colourful peripheral visions of a mythological world. The intense paintings of master porcelain painter Josef Karl Rädler. Chef-turned-artist Hiroyuki Doi's compositions made up of thousands of miniscule circles. The development of art in British mental health institutions since the 1800s.